Solar screens are an ideal and discreet way to regulate heat and glare in an outdoor area, while still maintaining full visibility. 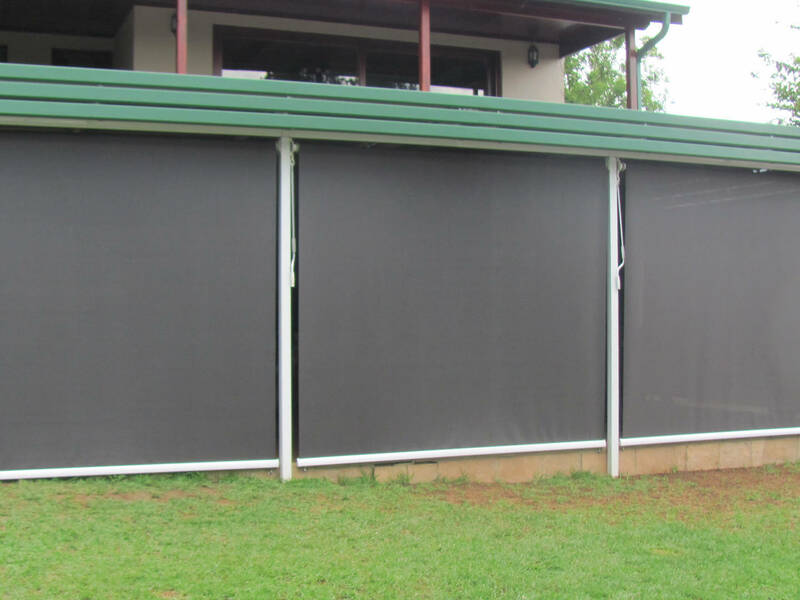 Solar screens reflect up to 95% of heat on the side of the screen that the heat originates from, thereby keeping your outdoor space cool in summer and warm in winter. 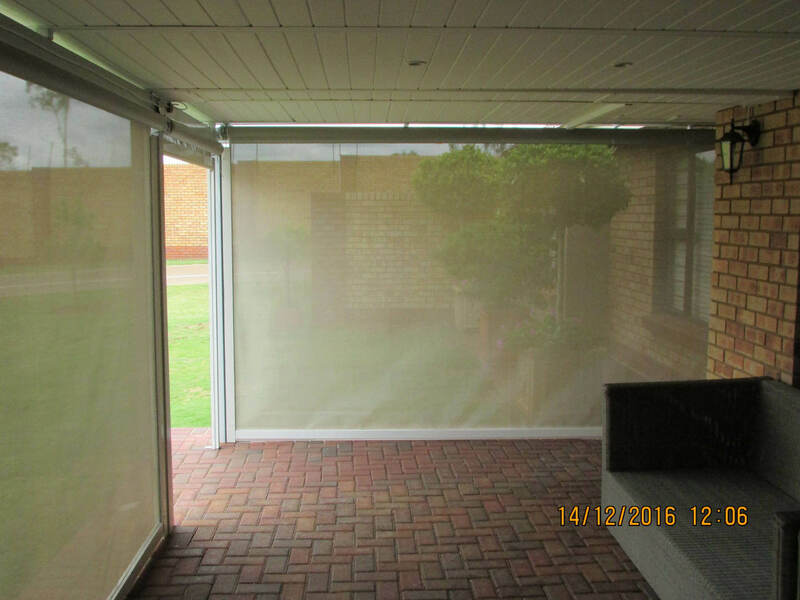 Our solar screens provide 100% visibility during the day, with limited or no vision from the outside - thereby maintaining your privacy. 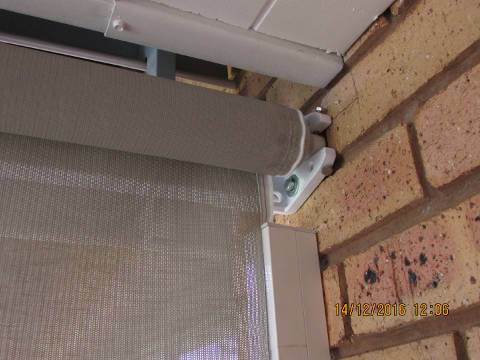 Solar screens are effective at stopping rain and wind due to their micro-perforated nature, and will still provide some protection from these elementsWind is stopped almost entirely. Most rain can be stopped, however a mist or droplets may form on the inside of the screen if the rain has sufficient force. Solar screens can either be fitted frameless, guided or sidetracked. If you were considering a more comprehensive protective option you may consider purchasing outdoor blinds instead. What's the difference between Frameless, Guided and Sidetracked? Frameless solar screens are the most discreet deployment option and are generally more popular and aesthetically pleasing than their guided and sidetracked counterparts. 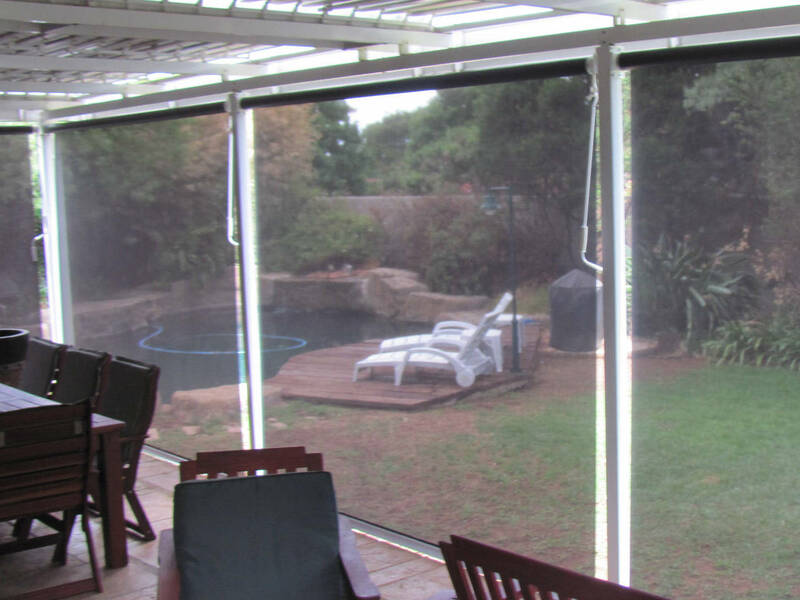 Due to the narrow gaps on the vertical sides of frameless solar screens, they will only stop the worst of the direct weather, but are still more than capable of stopping the heat and glare of the sun, whilst diffusing wind and rain. If your primary concern is wind, sun and heat and you prefer the aesthetics of the frameless solar screens then this may be your best option. Our guided solar screens use vertical stainless steel guide rods to ensure that the bottom tube of the solar roller screen remains under control during deployment. 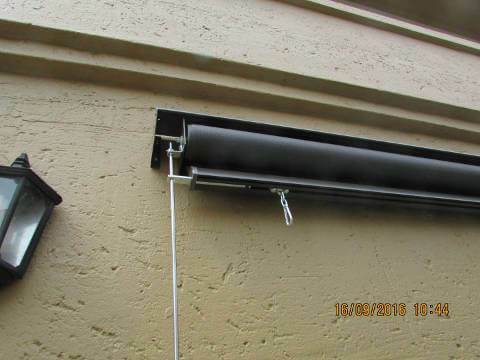 This is very useful, and potentially required, if you suffer from heavy wind in your area as the guide rods will prevent the bottom tube of the solar screen from swaying while it is being deployed or retracted. They do not seal the narrow vertical gaps on the sides, but are primarily used to control the ascent and descent of the bottom tube of the screen. The guide rods are only slightly intrusive, and are far more cost effective than the sidetracked systems so they serve as a good compromise between frameless and sidetracked. Unlike the guided system, the vertical edges of the solar fabric of sidetracked solar screens slide within the sidetracks, and will therefore allow you to fully enclose an area for maximum protection. Sidetracked solar screens will be able to deploy and retract without swaying even in the toughest wind. They effectively seal any vertical side gaps. 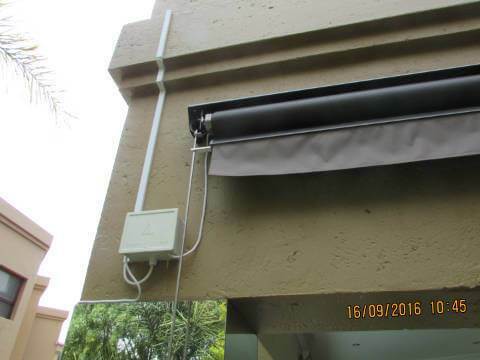 Solar screens can either use the manual crank-gear operating system, or alternatively can be motorised. These are often nicknamed "Solar Rollers" in our industry. You can choose from any colors listed in the Dickson® Sunworker range. Aluminiun or steel top covers are available to protect the solar screens from the sun and rain whilst they are not deployed. Fitment of the top cover is considered an important part of the installation if the solar screens are fitted outside the structure. The top cover, bottom tube, crank handle and crank-gear brackets can all be colour coded to better fit with the colour of the solar screen and/or your design scheme.